sounds cool, would hydrogen be VT? Yea, that was my thought. Are there really 158 core roles? I've had two thoughts about this one would be just like a shirt with blocks and keeping with our stick figure design we have like various roles. and the other we have more of an actual periodic table look with 118 elements roles. In post 31, Nero Cain wrote: Are there really 158 core roles? I guess another stupid idea would be like a police lineup and in the lineup are various people that repersent some roles and then underneath it it says "Who dun it?" or something to that effect. I personally like the periodic table one a lot more. My idea for the periodic table one was we have (like you said) stick figures inside the boxes with their role name below it, but I also thought it'd be interesting to have like the atomic number be their faction instead. Something like that would be really cool because then, y'know, you have a bunch of roles, then in the gap at the top we could put "MafiaScum" on it. 17 days left, sounds like you have an idea to work on! In post 34, Korina wrote: I personally like the periodic table one a lot more. Shirts are not going to have much room to print on (unless you are doing front and back and I was under the impression that we were doing front only.) I'd suggest just doing the normal (38) roles. You should totes take the periodic table idea and run with it so you can get a free shirt. That's my thought, but, that photo is just a proof of concept thing, just to show my idea. Also, I'm submitting that as my shirt idea. In post 38, Korina wrote: Also, I'm submitting that as my shirt idea. go for it, man. I don't really want a shirt. If anything I'd want some cred for co-designing the shirt if there was like a wiki page about this. I kinda agree. I like the play on hanging but that "with friends" is kinda meh. 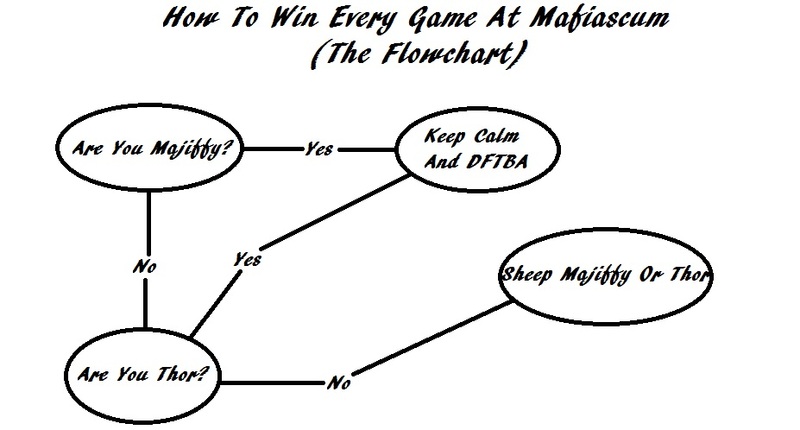 "MafiaScum.net: Come hang with us!" Sloganing is not my strong suit, but maybe it would spark a better alternative in someone else's mind. I think we should probably forego lynching in general in favor of "player has been voted out" ala survivor. Better optics. I kinda wish I could get a shirt with the design we had in 2011. I liked it. The periodic table idea sounds cool, but I think it needs to be more minimalist. Loud shirts with a lot of text don't thrill me. Too much text may make it more expensive to make and sell. There are already like lots of periodic table shirts on the market and posting something of a similar sized one shouldn't be too hard for any competent t-shirt company unless this is like a "we make a logo and a company prints it on a shirt for us" and the hard part is us making a logo? I mean, it's not like I can do this stuff so it's not like I'm calling our logo makers bad. In post 47, PokerFace wrote: I kinda wish I could get a shirt with the design we had in 2011. I liked it. My idea was you have a periodic table-esk setup, with all the roles. Inside, you have stick-figures representing the role with the role's name at the bottom. 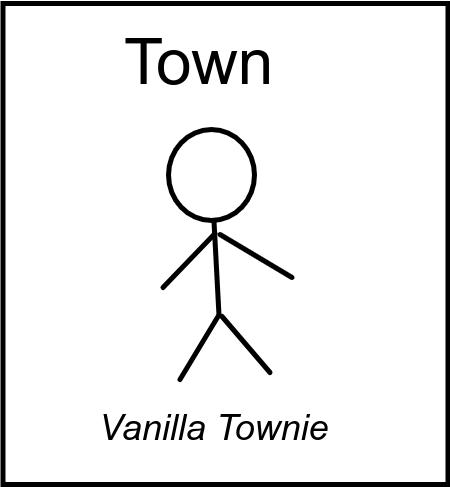 VT is just a normal stick-figure. Encryptor had a computer screen with text on it, and faintly a head in the reflection, etc etc.